I hope you enjoyed part-1 of 20 Unbelievable Places On Earth. As promised we have come back with 10 more breathtaking places, which we hope that you would love to visit once in your life time. You’ve got to see these places to believe them. 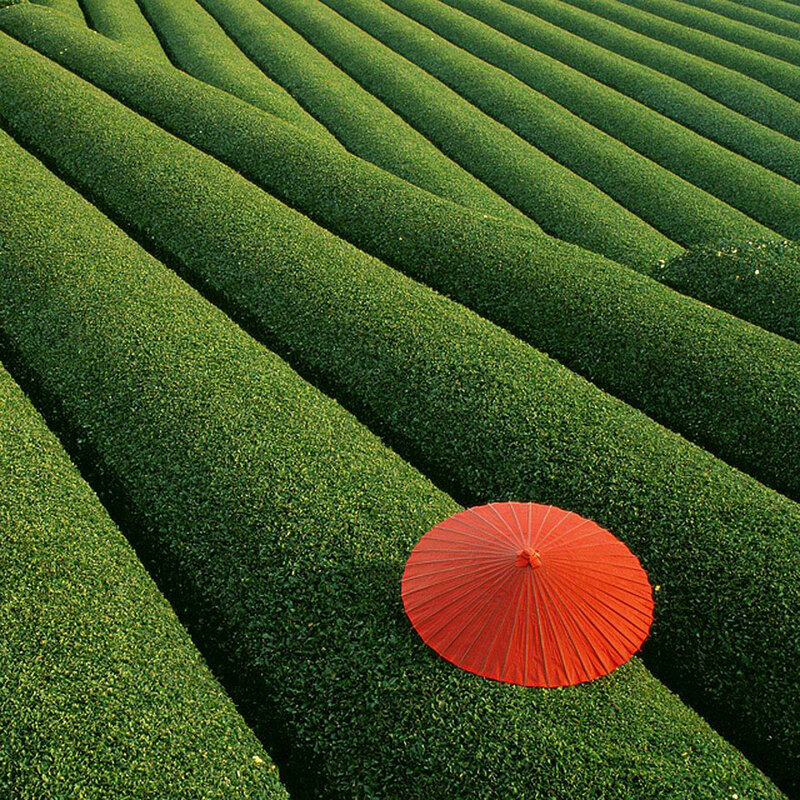 The coastal province of Zhejiang is famed for their gorgeous green tea fields. Many important styles of green tea originated in Zhejiang, including well, gunpowder, and anjibai cha. 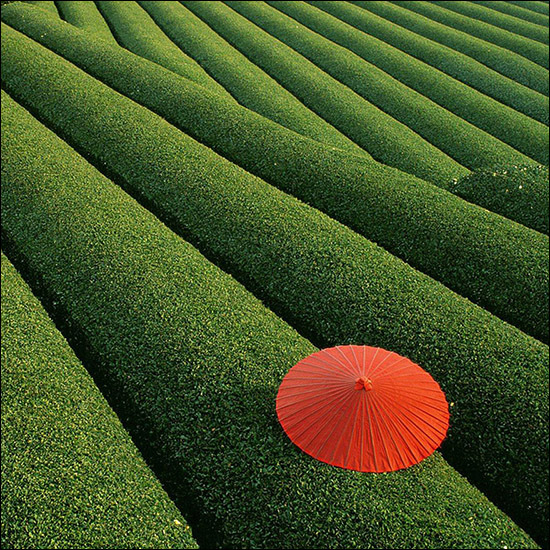 Zhejiang is the bastion of Green tea production in China and the World. 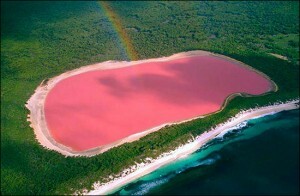 Lake Hillier is a pink-colored lake on Middle Island, Western Australia. The color of the lake is permanent, and the color doesn’t change its color when taken out in a bottle. The length of the lake is about 600 meters. From above the lake appears a solid bubble gum pink. It’s an unbelievable sight of a massive glacier, with such vibrant blue ice melting all around.A small, unseen stream tumbles down the slopes of Mt. McGinnis. 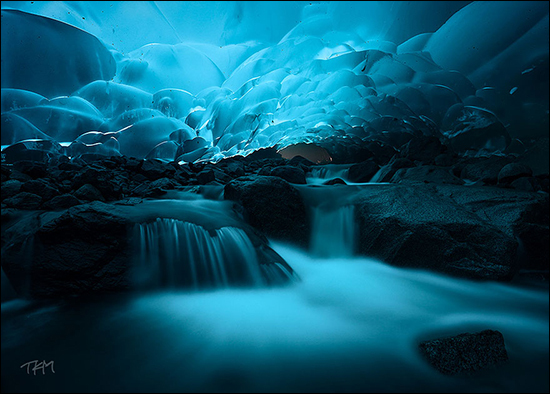 As it peters out, it disappears under the icy border of the Mendenhall Glacier.The water tunnels its way underneath the glacier, assisted only by the movement of air, forming the ice caves. There are chunks of ice hanging there ready to fall. 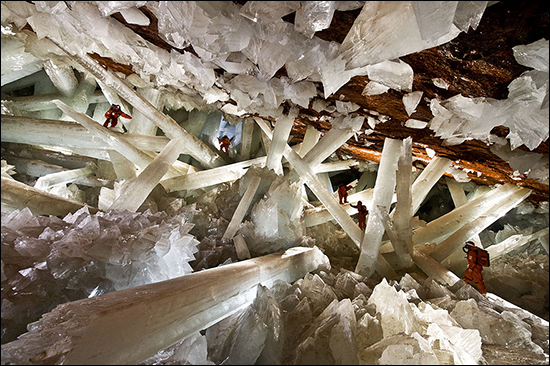 The Naica Mine of the Mexican state of Chihuahua is a working mine that is best known for its extraordinary selenite crystals. Surprisingly, The Naica mine gets hotter as you go down because it lies above an intrusion of magma about a mile below the surface. Within the cave itself, the temperature goes as high as 112 degrees Fahrenheit with 90 to 100 percent humidity—hot enough that each visit carries the risk of heatstroke. 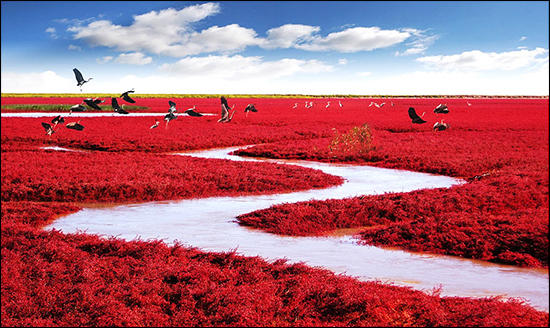 The Red Beach is located in the Liaohe River delta, near Panjin City, China. It is based in the biggest wetland and reed marsh in the world. The sand itself isn’t red. The red is caused by a type of sea weed that grows abundantly in the saline-alkali soil. In autumn, this weed turns flaming red, and the beach looks as if it was covered by an infinite red carpet that creates a rare red sea landscape. 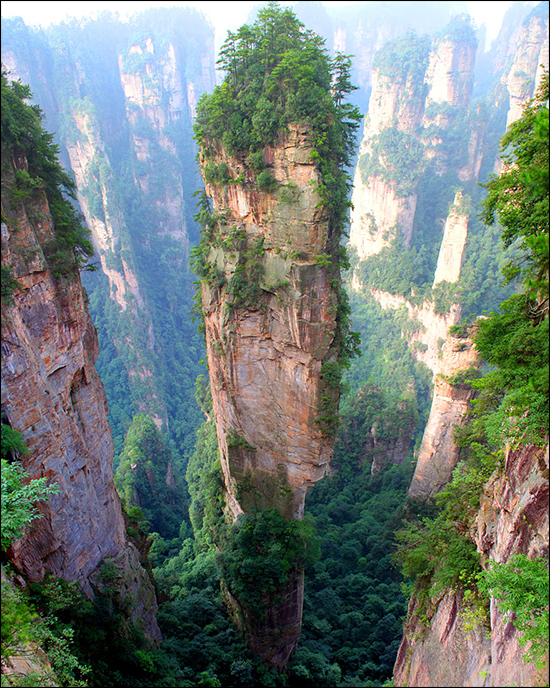 Tianzi Mountain is located in Zhangjiajie in the Hunan Province of China, close to the Suoxi Valley. Tianzi Mountain Nature Reserve covers an area of 67 square kilometers, and the highest peak is 1,262 meters above the sea level. The mountain is named after Xiang Dakunwho led the local farmers’ revolt and called himself Tianzi—the Son of Heaven, Tianzi Mountain provides stunning views of peaks, which rise one after another. It is known as ‘the Monarch of the Peak Forest’. 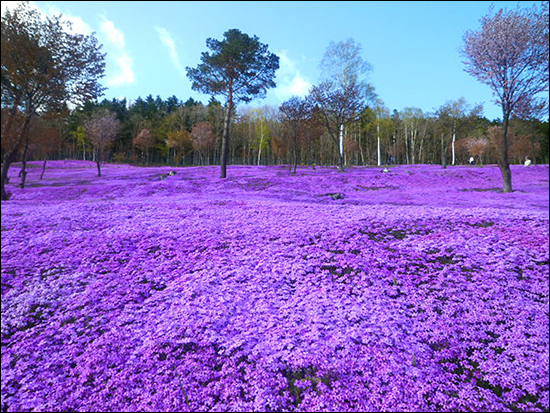 The Shibazakura (Pink Moss) Festival is one of the most unique and colorful festivals on the Hokkaido flower calendar. Winding paths lead you across a surreal pink and purple hillside overlooking Takinoue town. Every year from early May to early June, Takinoue Park is covered with a carpet of Shibazakura which started from the equivalent of a single tangerine box filled with seedlings. These flowers have spread and grown every year and now cover an area of 100,000 square meters. The Door to Hell is a natural gas field in Derweze (also spelled Darvaza, meaning “gate”), Ahal Province, Turkmenistan. The Door to Hell is noted for its natural gas firing which has been burning continuously since it was lit by Soviet petrochemical scientists in 1971, fed by the rich natural gas deposits in the area. 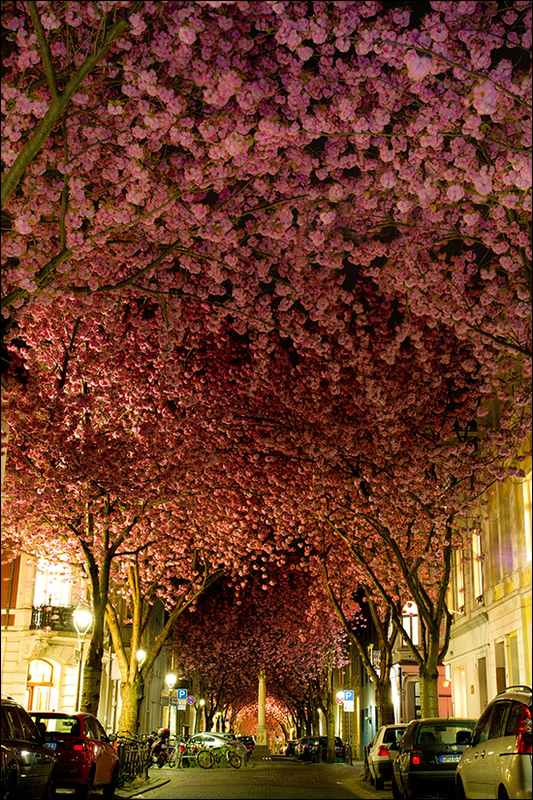 This remarkable street in Bonn showing cherry blossoms in full bloom. This scenario is present only for two to three weeks in a year. The Cherry Blossom Festival (Kirschblütenfest) in the old part of the city of Bonn is celebrated annually around the mid of April. 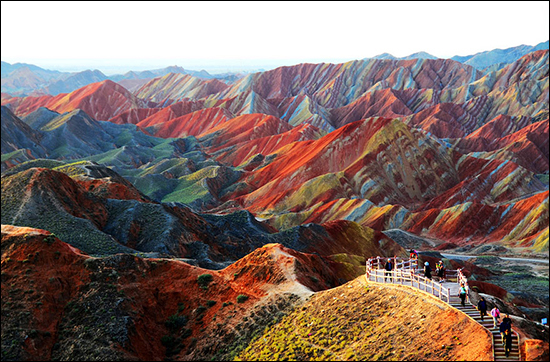 ZhangyeDanxia Landform is literally a massive piece of art that spans more than 400 square kilometers in the Linze and Sunan counties of the Gansu Province in northwest China. The unusual colors of the rocks are the result of red sandstone and mineral deposits being laid down over 24 million years. The resulting ‘layer cake’ was then buckled by the same tectonic plates responsible for parts of the Himalayan mountains. Previous article Taisia Sidorova, Develops Artistic Talent After Losing Half Of Brain. Next article 50 First Dates For Real- Tragedy or a Gift? Taisia Sidorova, Develops Artistic Talent After Losing Half Of Brain. 50 First Dates For Real- Tragedy or a Gift?